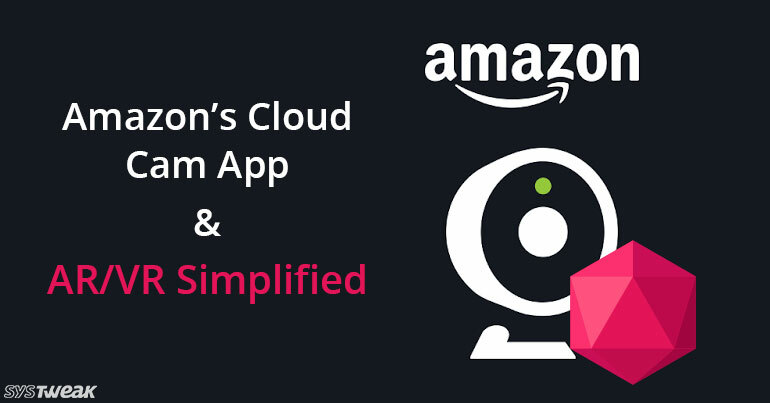 Amazon introduces CLOUD CAM, a smart way to keep an eye on every activity. After getting success with online shopping and streaming service, Amazon has taken the next step and decided to enter the surveillance industry. Amazon is all set to launch Cloud Cam on November 8 for $119. Cloud Cam is a device that can be used to monitor all the activities at your home. With the cloud cam app, you can recon everything on your Android device. With this device, you can not only make sure that your loved ones are safe at your place but also have a two-way conversation with them if needed. If you want to get a cloud cam for you then you must have cloud cam app for your Android as it will make it very easy to confirm the security of your loved ones. WHAT ARE THE FEATURES OF CLOUD CAM? With Cloud Cam app, you can fully control your cameras. Whether you want to add cams, rename them as per your preferences or want to watch real-time activity, Cloud Cam will do it all. You can activate two-way audio to communicate with people at home whenever you want. With the app, you will get real-time notifications of all the activities at your home. It records 1080p HD videos and also allows you to download, share, replay and delete the recorded videos. The app will let you manage person alerts. You can also exclude areas which you don’t want to be monitored with Zones. Moreover, you can use your phone as presence detector and turn off the recording when you need privacy at home. Poly a new platform from Google, which allows to find and share 3D objects launched today. Google launches a cross-platform library for VR/AR named Poly which is a freeware. Poly incorporates with Tilt Brush and Blocks, respectively, and works as a showcase for 3D models that developers can plug and play into their own AR or VR creations. The library has tons of objects, be it simple objects like cookies, trees or be it elaborate and fascinating objects. The objects on it can be used by both Google’s ARCore and Apple’s ARKit as they are platform independent. Anyone can use Poly to upload or view 3D objects in the browser on your desktop or smartphones. With Poly, developers would be able to give their game or 3D app well-defined look with all the custom objects available.Not only the small developers would be benefited with it but soon the giants could also be using the objects to get the framework so that they could understand where is it heading. It could prove to be an amazing resource for those who would like to try their hands on VR/AR. It is very easy to use. Type in what you are looking for and the website will show you, different models, to choose from. View them, download them or drag them to VR environment for editing.